CREDIT: Lee, Russell, photographer. 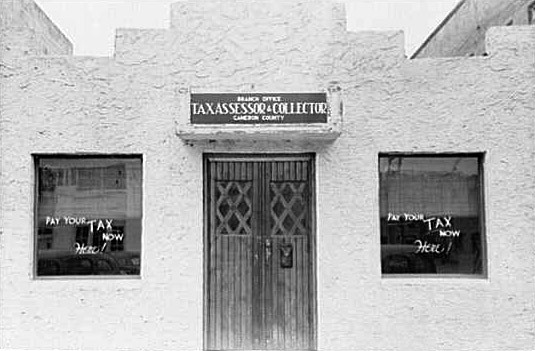 "Tax collector's office, Harlingen, Texas," 1939. Prints and Photographs Division, Library of Congress. Reproduction Number LC-USF33-011984-M2 DLC.